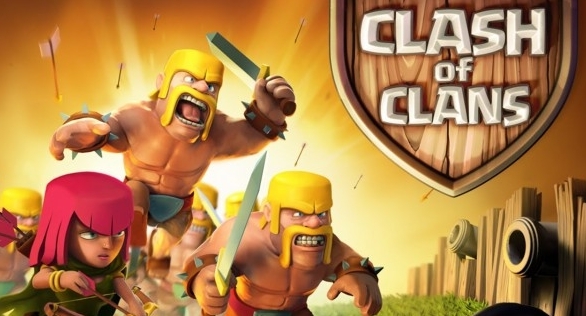 Clash of Clans players who have been playing the the Android mobile app version of the game on Windows PC & Mac via BlueStacks emulator tool have been complaining about some bugs that cause some blind spots and blank spaces to appear on the screen when playing the game on BlueStacks. In some instances, sudden app crash has also been pointed out by some users of BlueStacks on Windows 10/8/8.1/7/XP & Mac PC/laptops. If you are one of those affected by these bugs and blank patches & spots on the screen while playing the game on BlueStacks and looking for a solution to address the problem then you have come to the right place. Here we are going to discuss how to fix Clash of Clans errors on BlueStacks for PC. But before going ahead with Clash of Clans Blank Patches on BlueStacks fix, it’s recommended that you check Windows & Mac PC/laptop hardware configuration to see if RAM, processor, graphic card requirements are being met for smoothly run the game on BlueStacks. Less than adequate hardware can cause app crashes, graphic distortion and hinder smooth functioning of apps on BlueStacks. Another thing to note is to check whether you have downloaded latest updated version of the BlueStacks Android emulator. BlueStacks is constantly updated by developers to ensure latest Android apps run perfectly on computers, so for that you must keep monitoring which version of the BlueStacks Offline Installer/BlueStacks 2 simulator tool you are using on PC/laptops and immediately update to the new version and then try running Clash of Clans to see if it works. After following above mentioned tricks if the problem still persists then there are more fixes provided below that are meant to ensure that Clan of Clans blank patches and graphic error problems on BlueStacks are removed forever. Most Windows PCs & Mac computers use Inter, AMD or Nvidia graphics cards. They keep releasing new updated versions of the graphic cards to ensure that they can handle new graphic intensive games. If your PC is running on antiquated graphic card then perhaps its time to update it. Update graphics card and run Clash of Clans on BlueStacks to see if it fixes the problem. Click on links below for updating graphic card drivers on Mac/PC. Now play Clash of Clans on BlueStacks after updating graphics driver. 2 – Type regedit in the run command box to open Windows Registry Editor. 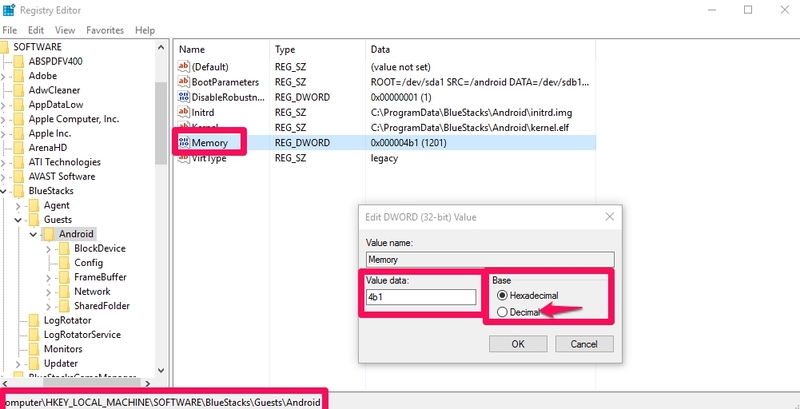 3 – On Registry Editor windows go to HKEY_LOCAL_MACHINE > Software > BlueStacks > Guests > Android. 4 – You will see on the right pane of Registry Editor window a list of registries. Double-click on the memory registry entry, which will open a new small window titled Edit DWORD (32-bit) Value. 5 – On this new window, under Base check Decimal option, and in value data box type 500 and click the OK button. 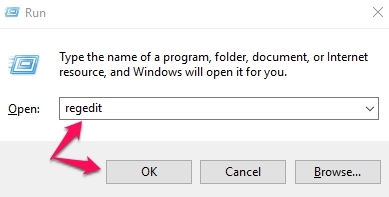 6 – Close Registry window and restart PC. Now open Clash of Clans on BlueStacks to see of this trick solved the problem for you. Also make sure that PC & Mac system hardware is up to the required minimum standard for fluid functioning of games and apps on BlueStacks.